We got up bright and early one morning and almost had the beach to ourselves. We had a few hours there before heading off to do other things. 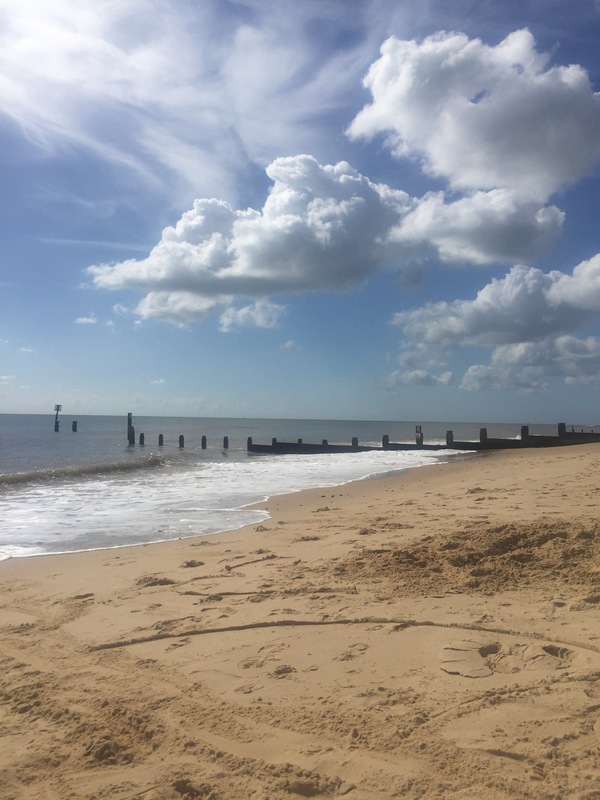 One of the joys of staying close to the beach has meant we can have several shorter beach trips rather than committing to a whole day there. As one of the Little Postcards is an avid fan of all things public transport related, we often pay a visit to the East Anglia Transport Museum at Lowestoft when we’re in this part of the world. 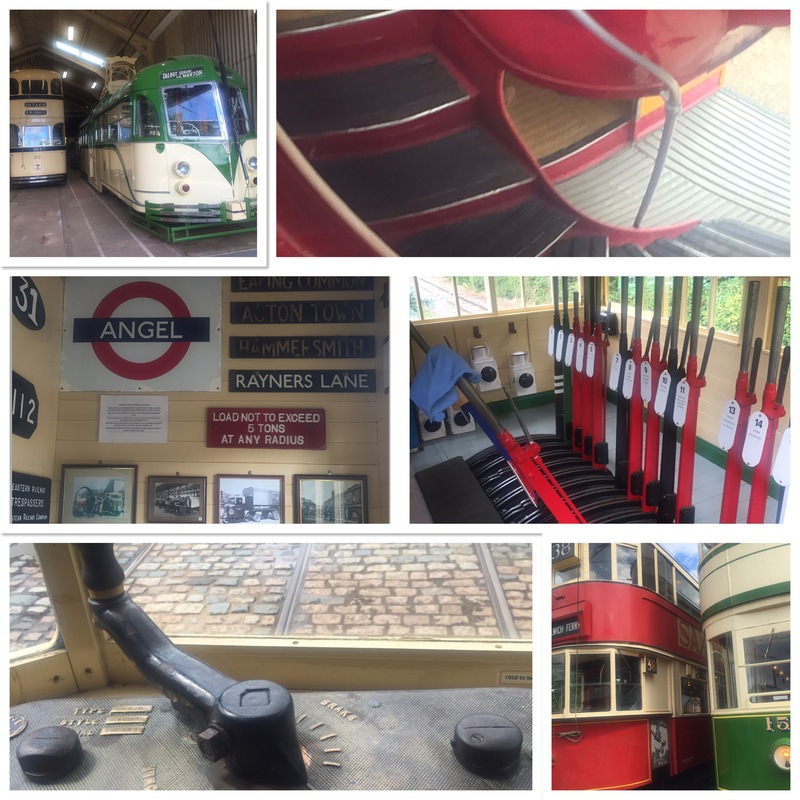 There are trams, trolley buses, a steam train, buses galore and a steam powered road roller. The staggered seating areas were like small train compartments and really cosy. The central corridor led to both upper level and lower level seating. 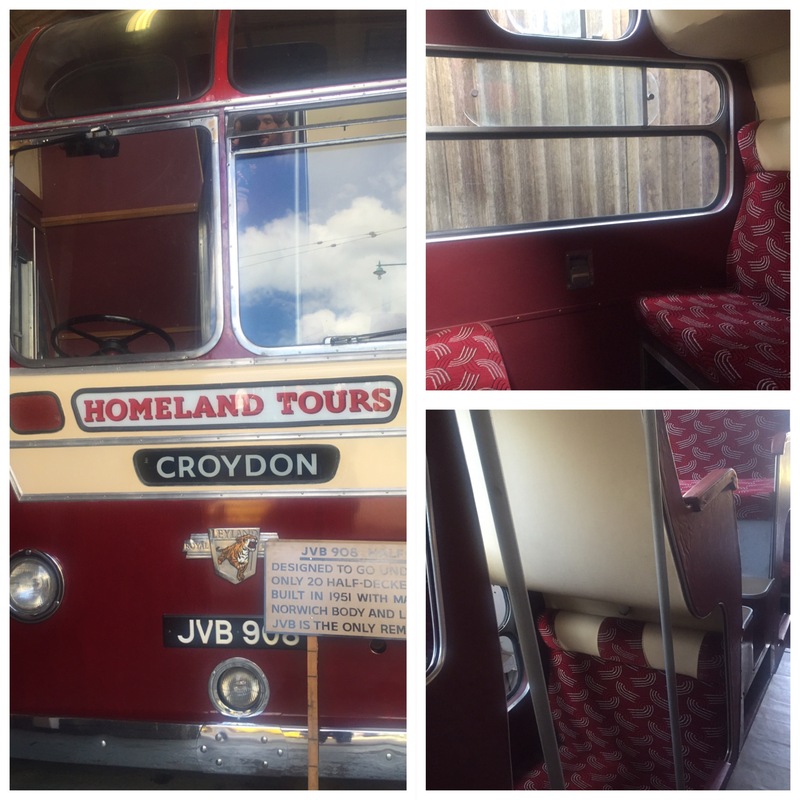 It was a really ingenious use of space – shame this is the only example of this kind of bus still remaining today. The church of the Holy Trinity at Blythburgh is striking as it rises above the marshes of the Blyth estuary. Known as the Cathedral of the Marshes, a church has stood on this site for 1400 years. 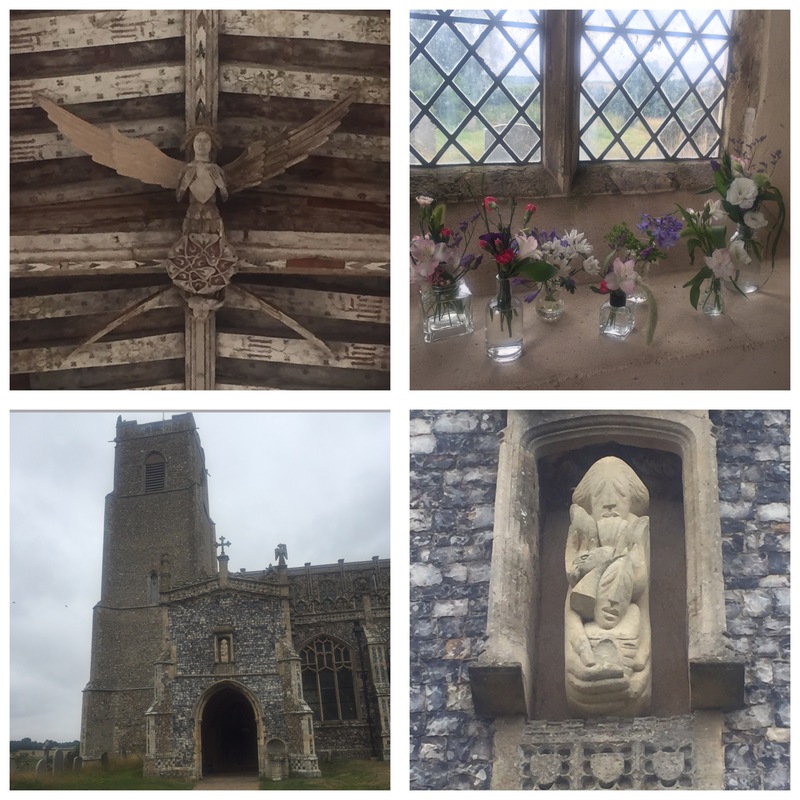 It has a stunning carved wooden ceiling with angels running the length of the roof. The cemetery is a wildlife sanctuary which is maintained in such a way as to promote both the plants and creatures which live there. We always stop and pay the church a visit on the way past, it’s really tranquil spot. 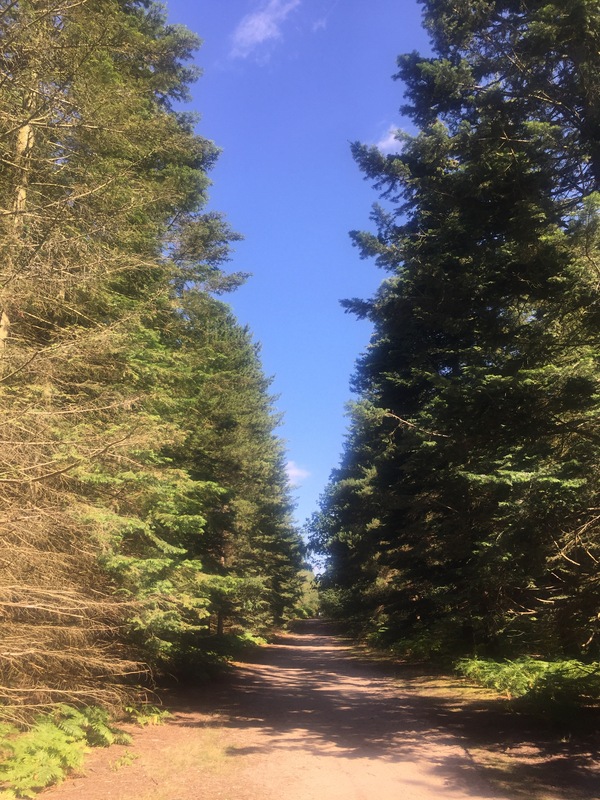 We headed to Rendlesham Forest for a lovely woodland walk on a very sunny morning last week. It is such a beautiful place, one we have never visited before. It was the site of a series of famous UFO sightings in 1980 and there’s a specially marked out UFO Trail you can follow to see where the sightings were. Aside from the extra terrestrial side of things it’s a really lovely spot. 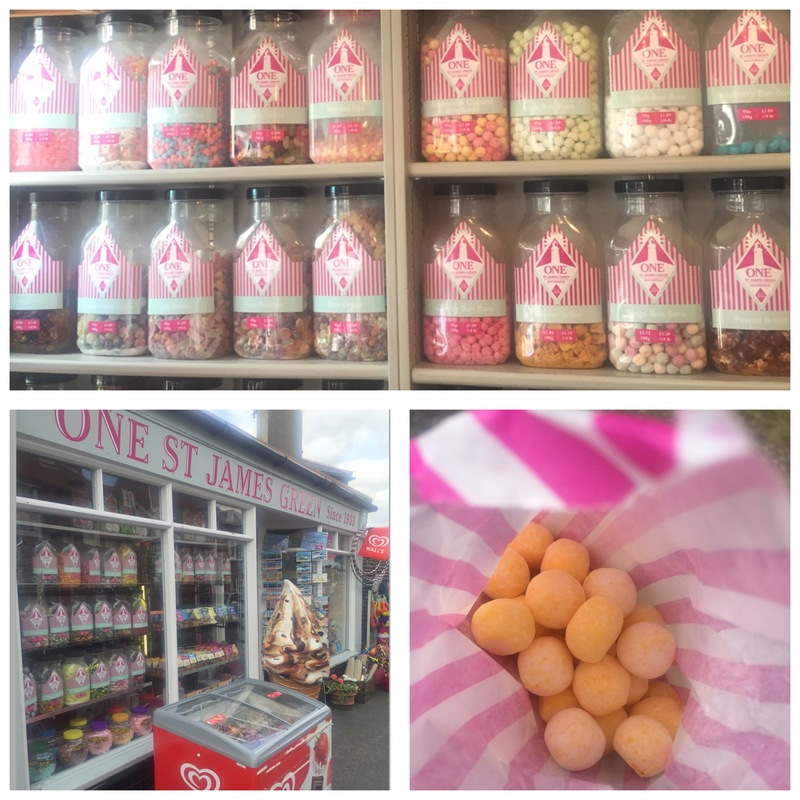 There’s a lovely old-fashioned sweet shop here in Southwold and we have found ourselves drawn to it a couple of times. I have reaquainted myself with the delights of the bonbon on this holiday, rhubarb and custard flavour were very nice but my all time favourite has to be lemon… Yum! I hope the last seven days have been kind to you. Thank you very much for stopping by! 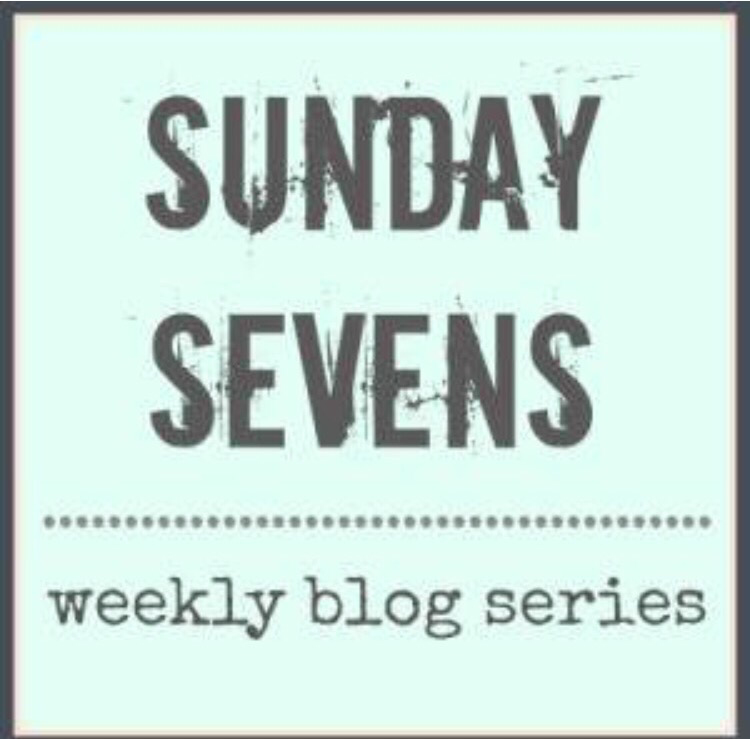 Sunday Sevens is a weekly blog series featuring seven (whoops eight again this week 😉 ) photos from the past seven days. It was created by Natalie at Threads & Bobbins blog, check her blog out if you want to find out more. Those bonbons, were they dusted with icing sugar. And rhubarb and custard sweets, part of the joys of parenthood. Love those super smart beach huts. You are having a wonderful holiday. Oh what lovely pictures! The beach looks great and those beautiful beach huts. It looks like a great week. Wow – You are everywhere like a rash! Gorgeous beach huts – love the stripy ones. That Croydon bus is a long way from home. I know what you mean about the sweets – just as well we don’t live here so we won’t be frequent visitors!! 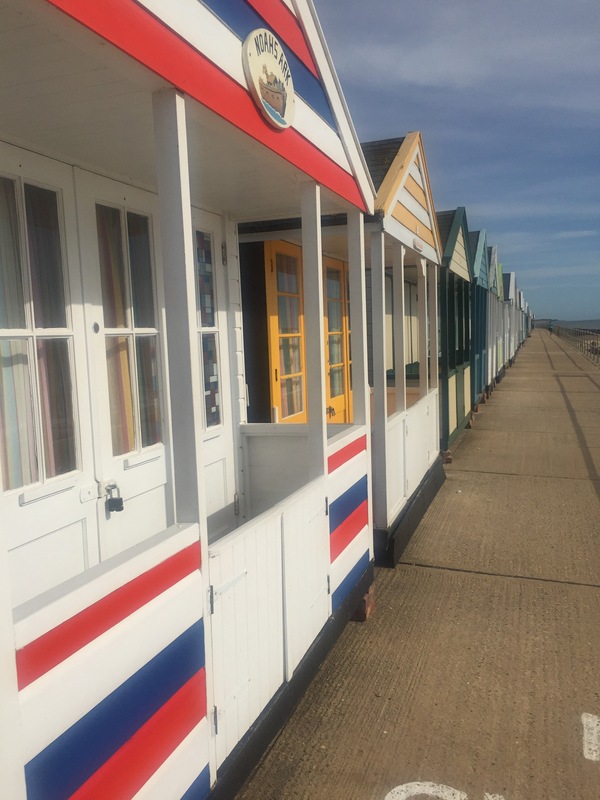 The beach huts are so lovely – I’ve seen one up for sale for £60,000 if you’re interested 😝. 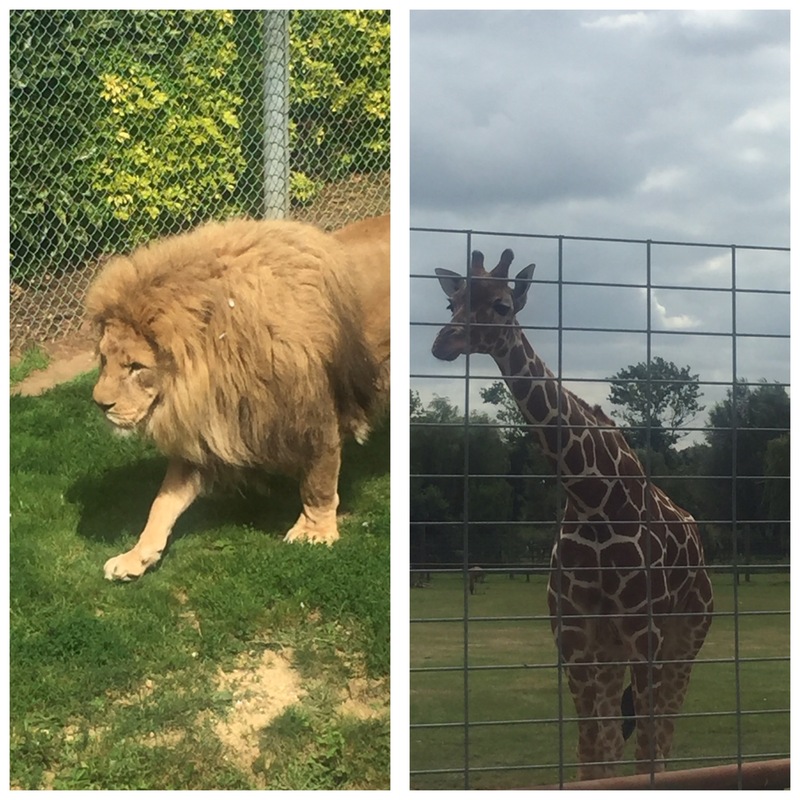 We’re only here for 2 weeks and there’s so much to see and do here that we have tried to make the most of it – although I have to say perhaps it will be quite restful going back home!! Well, you’re certainly making the most of your time over here, aren’t you? You don’t see sweet shops like that very often any more – did you stock up for home?